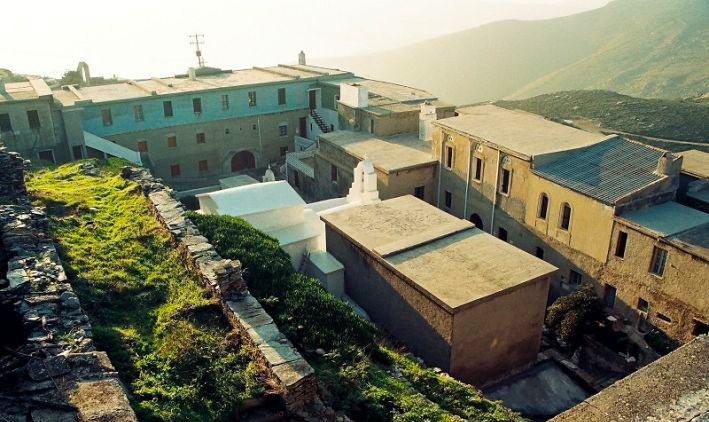 The Monastery of Zoodochos Pigi (life-giving spring) or Agia is the largest in size monastery in Andros. It stands as an imposing fortress in an area between Gavrio and Batsi, 7 kilometres from the main port. The construction era is not determined. 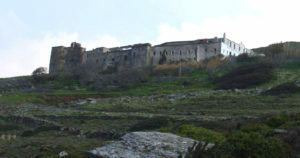 According to Dionysius, with origin from Andros and metropolitan of Xanthi, a Byzantine school was operating in the area, and 842 turns into a monastery. The first official foundation date is 1325, time confirmed by a silver icon and a document. The church’s Byzantine iconostasis with carved and painted decoration dates back to the late Byzantine period. It retains religious images of the 14th and 16th century and a notable library, with rare books and manuscripts. It also has a museum with sacred vestments and utensils and a small collection of prehistoric tools. 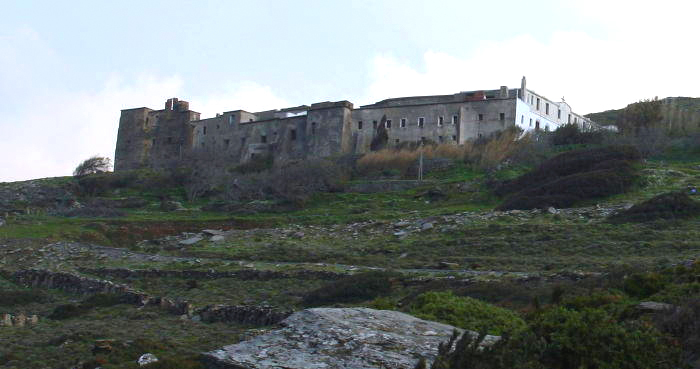 During the period when the Franks abandoned Andros, they destroy the monastery. Two monks, Makarios Dellagramatika and Stratonikos Strategopoulos, restore it in 1578. The Monastery of Zoodochos Pigi flourishes when young monks move to live there, and its influence strengthens by works that take place in 1603 and 1717. The monk Ioannikios, probably a member of the Filiki Etairia (Friendship Society), takes care of its fortification. 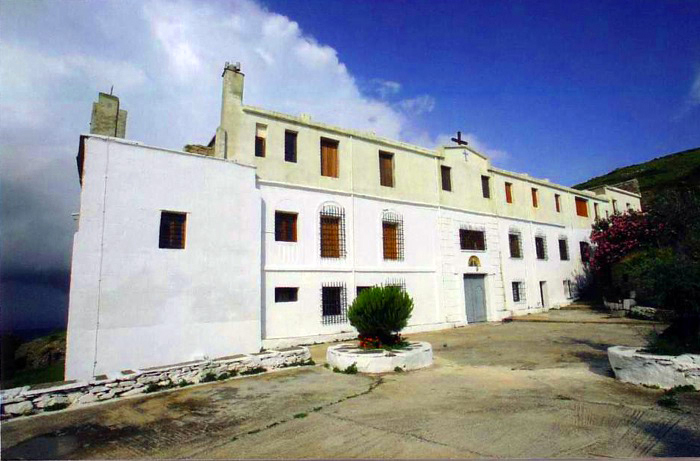 Extends the Monastery of Zoodochos Pigi with new spaces, spending its wealth and that of the Monastery until 1831. At the end of the 17th century, 100 monks were living there, limited to 51 near 1836. In 1928, the monastery turned into a female, as it remains to this day. According to tradition, the Monastery of Zoodochos Pigi owes its construction to the vision of a man to whom the Virgin indicated the location. Craftsmen who worked in the development of a monastery to the north were losing their tools every night. A resident with vision problems was passing thirsty from the area but found no water. Seeing a goat with a wet “beard” crossing in front of him realises that somewhere near there is a spring. Arriving at the spring, a woman appears in front of him. The man shares his vision problem with her. The woman advises him to wash his eyes with the spring water to heal. Miraculously his vision is cured, and she reveals herself as the Virgin Mary. He asks him to tell the craftsmen to give up their effort and build the monastery in today’s location. So it happened.